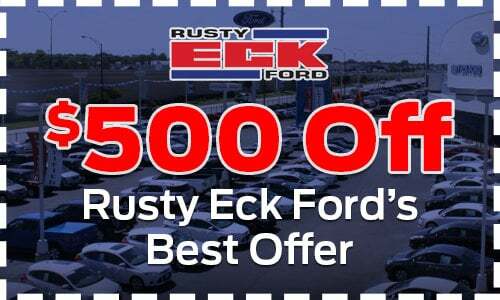 It is EASY to drive home your FIRST new or pre-owned vehicle from Rusty Eck Ford! Have you have been at your current job for at least one year? Have you have lived at your current address for at least one year? Do you have a recent paycheck stub? Then, you may qualify for our First-Time Buyer Program at Rusty Eck Ford!